Browse synthetic-rubber suppliers by country and region. 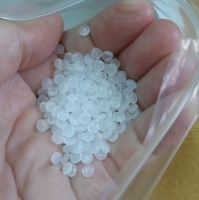 Plastic raw material, synthetic rubber, elastomer, PP, LLDPE, LDPE, EVA, PS, PE Powder, PE Wax, Synthetic Rubber, EPDM, SBR, BR, NBR, SEBS, SBS, SIS, POE, OPP Film. Shenzhen Tenchy Silicone & Rubber Co., Ltd.
A Wide range of specially formulated silicone rubbers to meet different demands for spin casting of low-melt zinc alloy and tin-lead alloy. Available Size: 9", 12", 14", 16". PA, Pin color, Application: suitable for zinc alloy spin casting. Vulcanizing Temperature: 165 degree C Vulcanizing time: 60mins. Shore Hardness after vulcanizing: 75 Tear-resistant strength: 98Mpa Elongation: 32% highest heat-resistance (10 secs):750 degree C GA, Green color, Application: suitable for tin-lead alloy spin casting of flat parts Vulcanizing temperature: 150-165 degree C Vulcanizing time: 60 mins. Shore Hardness after vulcanizing: 65 Tear-resistant strength: 80Mpa Elongation: 58% highest heat-resistance (10 secs):500 degree C BA, Blue color, Application: suitable for tin-lead alloy spin casting of miniature figurines, photo frame etc. Vulcanizing Temperature: 165 degree C Vulcanizing time: 60 mins. Shore Hardness after vulcanizing: 70 Tear-resistant strength: 95Mpa Elongation: 72% highest heat-resistance (10 secs):500 degree C YB, yellor color, Specially developed cheaper silicon rubber, mainly used to reduce cost, half or 1/3 thick of the mold, not directly contact alloy. Short on time? Let synthetic-rubber sellers contact you. Hongkong Hong Ye Jie Technology Co., Ltd.
Hong Ye Jie Technology Co., Ltd.
Shenzhen Hong Ye Rubber Co., Ltd.